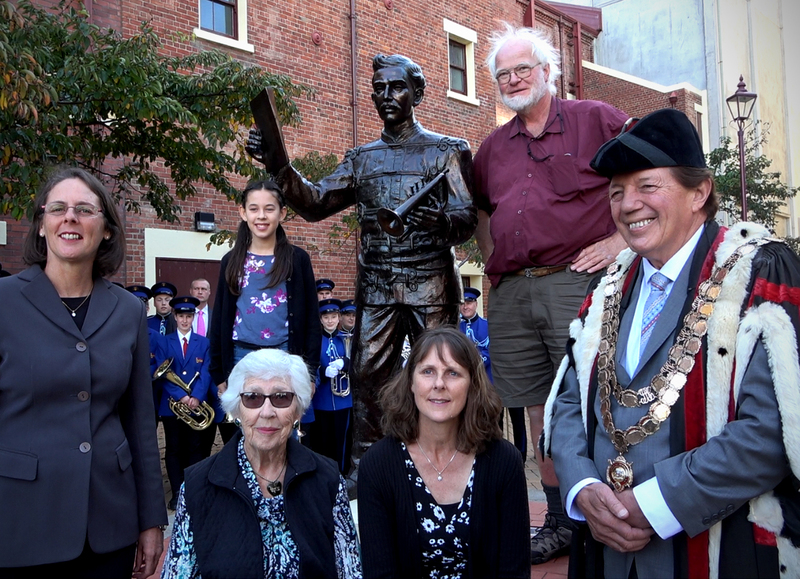 A new bronze statue honouring famed Invercargill composer Alex Lithgow has been unveiled in the city, more than a century since he composed a tune which has become world-renowned. 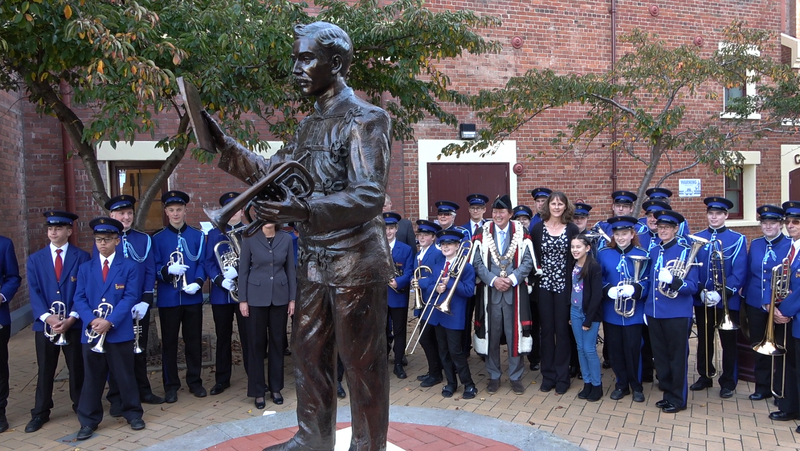 The official unveiling of the statue, on Saturday, was attended by the Invercargill Garrison band, members of the public, and even three generations of Lithgow’s descendants, who had travelled from Australia to attend the event, Stuff reported. Lithgow is most noted for his composition Invercargill March, still performed today. 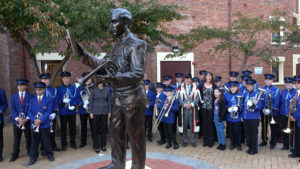 According to Stuff, one attendee of the unveiling, Allie Reid, donated a piano roll of the Invercargill March to the Invercargill Garrison Band, likely to be one of very few playable copies of the recording. The statue was made possible thanks to the Alex Lithgow Statue Trust raising $50,000 for materials and transport costs, and Australian sculptors Gille and Marc, who made the sculpture free-of-charge. This entry was posted in Event, inner-city, Invercargill. Bookmark the permalink.